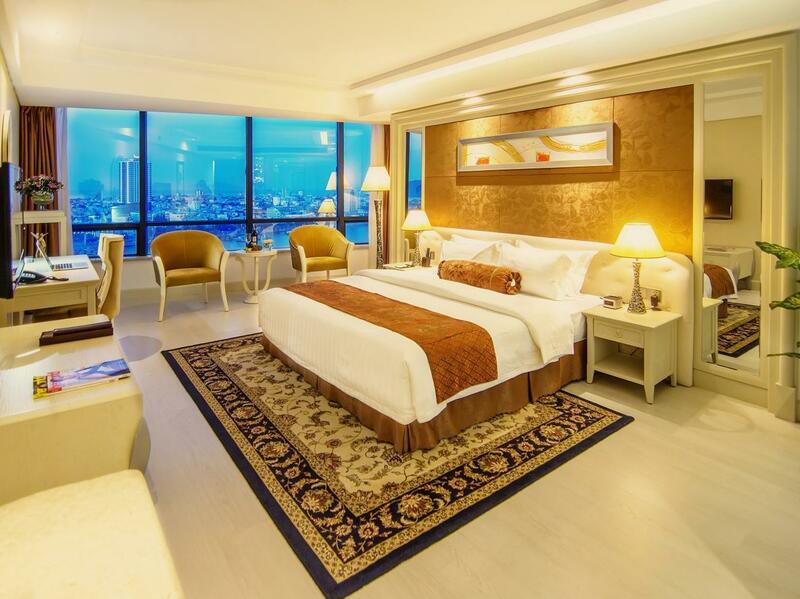 The Brilliant Hotel is located at a prime location on Bach Dang Street in the heart of Danang city, overlooking the scenic Han River with its famous bridges and a fantastic view of the beach city. 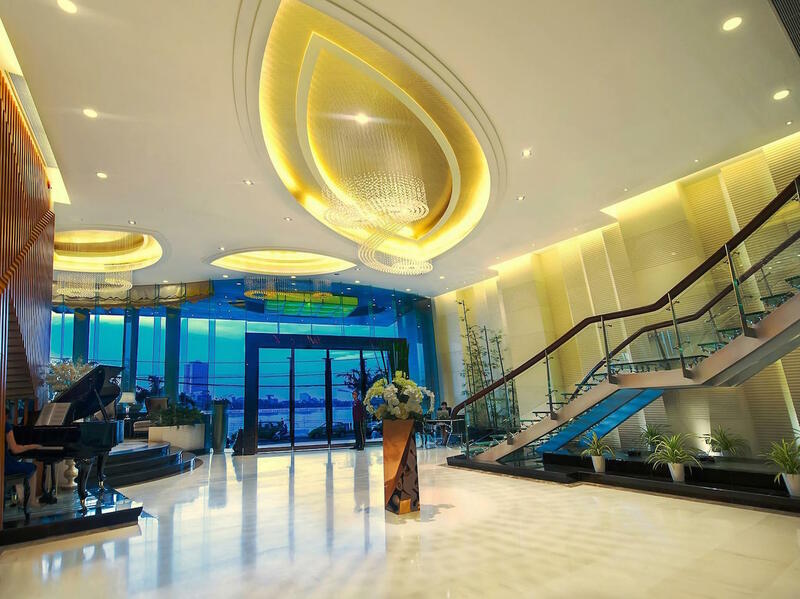 Just 10 minutes-drive from the international airport, the hotel is ideal for travellers to explore the charm of historic and modern city with points of interest such as Da Nang’s new Administrative Centre, Con Ga Church, the Cham Museum, Han market, shopping malls, restaurants and bars. 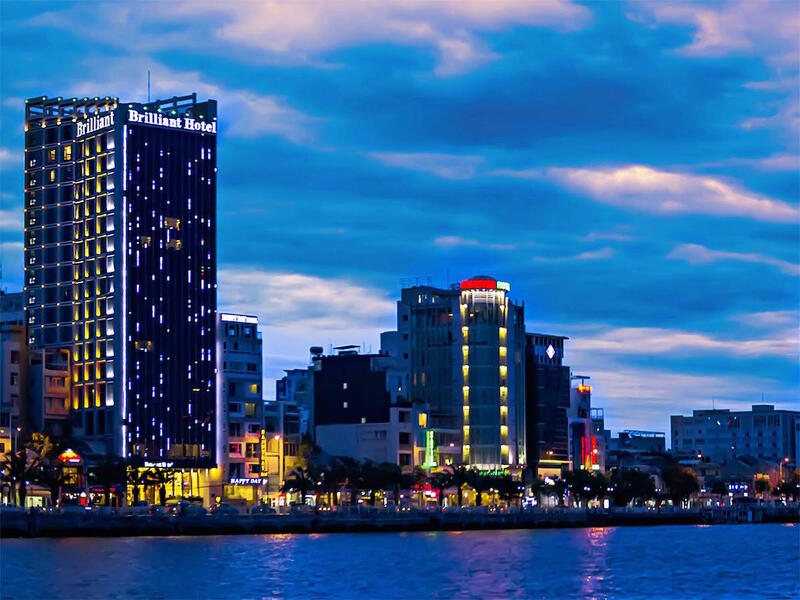 Combining luxury and elegance in contemporary European and Asian architecture with Vietnamese hospitality, The Brilliant Hotel is a truly a home for both business and travelers in Danang. The hotel is tastefully designed to provide space and comfort with top quality guest amenities of international standards of a four-star hotel including fully comprehensive services to meet all guests’ need. Located at the 4th floor of the hotel, within the area of the premium health care, Brilliant Swimming Pool is the highlight of luxury among the hotel’s senior services. With sophisticated design combined with transparent blue glass roof, Brilliant Swimming Pool is the ideal glass-house swimming pool for those who love to swim. Brilliant Relaxation is where your senses will be awakened by soft scents of fresh herbs. At Brilliant Relaxation, you can relax with special treatments, or body exercises, or suggest a specific treatment, or simply enjoy a cup of tea and watch your favourite channels on television. Combining luxurious space, professional products and attentive and skillful staff, Brilliant Spa offers guests a truly relaxation of mind, body and soul. At Brilliant Spa, guests will experience a quintessentially way of relaxing to relieve stress from the business life and regain perfectly energy and inspiration after a hard working day. At Brilliant Spa, enjoy your truly sensory experience and receive special benefits during your holiday. 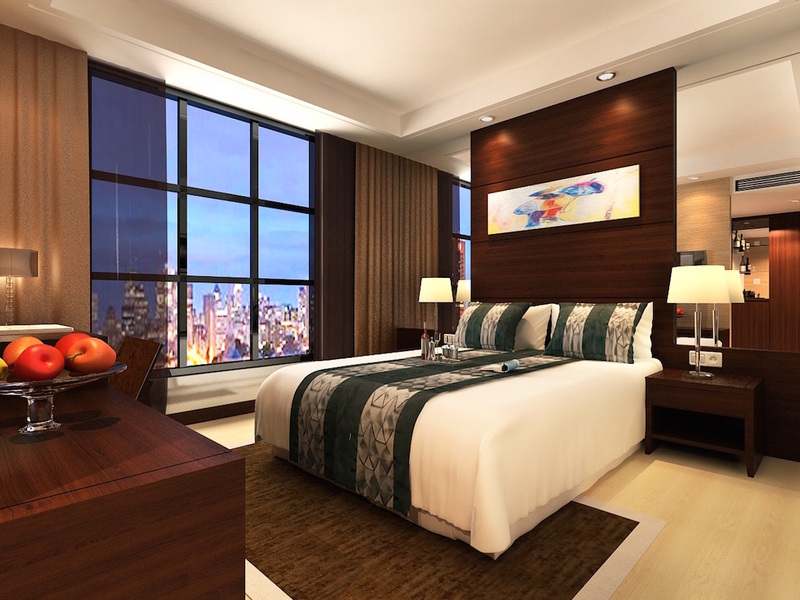 With the contemporary Asian- European architectural style and equipped with modern and high-end amenities, Superior rooms are offer a perfect choice for you to enjoy the view of Han River and Han Bridge. Room size: 22- 24 sq.m. Our comfortable Deluxe River View rooms are exquisitely designed in contemporary style and offer pleasing river or city views. The room has the elegant bathroom equipped transparent glass offering a cosy and airy ambience. Room size: 26 – 32 sq.m.